A YOUNG WOMAN who bought drugs on the internet to induce a miscarriage after failing to raise enough money to travel to England for a termination was today handed a suspended prison sentence. 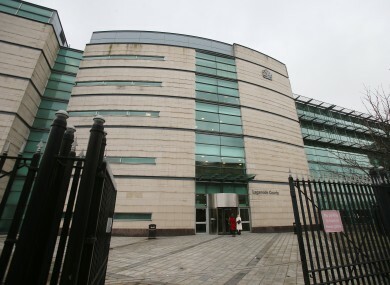 A barrister for the woman told Belfast Crown Court that had his client lived in any other region of the UK, she would “not have found herself before the courts”. The 21-year old, who cannot be named due to a court order, bought two types of drugs online, took them then miscarried on 12 July 2014. The male foetus, which was between 10 and 12 weeks, was later found in the bin of a house she shared with two other people. She appeared in court today where she pleaded guilty to two charges – namely procuring her own abortion by using a poison, and of supplying a poison with intent to procure a miscarriage. Handing the woman a three-month prison sentence, which was suspended for two years, Judge David McFarland spoke of the difference in legislation surrounding abortion in Northern Ireland, compared to England, Scotland and Wales. The Belfast Recorder also spoke of the potential dangers of taking these drugs, which are readily available on the internet but which should only ever be taken under medical supervision. Prior to sentencing, Crown prosecutor Kate McKay said that on 20 July 2014 police were contacted by the woman’s housemates and were made aware that she had bought drugs online which had induced a miscarriage on 12 July. When officers arrived at the rented accommodation in south Belfast, they conducted a search and located various items – including a foetus which was located in a black bag in the household bin. A subsequent post mortem confirmed that the male foetus was between 10 to 12 weeks and was the woman’s biological son. McKay said that when the woman moved into the house in May 2014, she told her two housemates that she was pregnant but that she was trying to raise the money to travel to England for a termination. However, after she was unable to raise enough money, she contacted an abortion clinic in England for advice. She claims that she was told by the clinic about two drugs – mifepristone and misoprostol – that were available on the internet and which would induce a miscarriage. She miscarried on 12 July, and the following day her housemates found both blood-stained items and the foetus in the bin. One housemate described the foetus as a “wee baby” around four inches long. McKay said at this point the housemates were in a dilemma about what to do and were “taken aback by the seemingly blasé attitude” adopted by the woman. Around a week later, they contacted the PSNI. When she was arrested, the then 19-year old gave a ‘no comment’ interview. Regarding the incident, Bacon said at that time the woman was living in Belfast with people she barely knew and when she fell pregnant she felt “isolated and trapped … with no-one to turn to”. Bacon said the drugs she took were normally administered under medical supervision only, meaning that she put her own health at risk. He branded her actions as “a 19-year old who felt trapped” and who turned to “such desperate measures”. The barrister concluded by saying the woman is now 21, has a new baby with her partner and is “trying to put her life back together again”. Before passing sentence, Judge McFarland said there were no guidelines or similar cases to compare this to, adding in his experience there have been no other prosecutions under this specific piece of legislation – namely Section 58 of the Offences Against the Person Act 1861. Judge McFarland said the legislation was 150 years old and had been substantially amended in England, Scotland and Wales but not in Northern Ireland. Acknowledging that as a UK citizen the woman could legally have travelled to England for a termination, Judge McFarland said that the advice given by the clinic “without knowledge of her background and details was perhaps inappropriate”. He also said that while there are agencies in Northern Ireland that give advice on such issues “unfortunately they are part of a polarised debate that can be part of a more toxic debate”. Email “Woman (21) given suspended sentence for taking abortion drugs ”. Feedback on “Woman (21) given suspended sentence for taking abortion drugs ”.